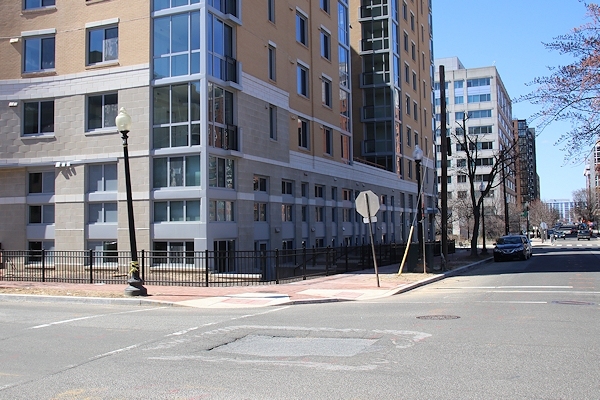 March 17, 2019 - The Harlow, nearing completion, as seen from 2nd Street north of L.
March 17, 2019 - The building's southern sides and eastern sides, across 3rd Street from the townhouses of Capitol Quarter. 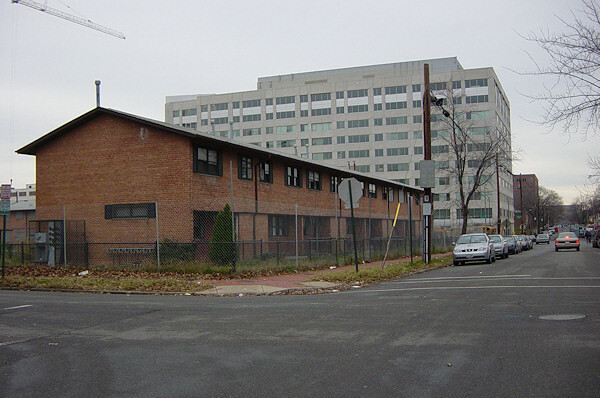 The building's footprint covers only the northern half of the block, so it is set back from M Street, as seen here, leaving space for the new DC Department of Transporation headquarters at 250 M Street. Which means that this view of the Harlow is tempoary. Sept. 30, 2018 - "Just steps away from Canal Park!" The south side of L Street between 3rd and 2nd Streets. Up until early 2005, this location was long occupied by one of the Capper/Carrollsburg public housing buildings. July 20, 2004 - The southern side of L Street, east of New Jersey, when it was still home to the two-story Capper apartment buildings. These were demolished a few months after this photo.